I am honored to have been selected and given the opportunity to participate in Caldera Arts Center January 2013 Artists in Residence Program from January 03-29 near Sisters, Oregon. Every winter Caldera invites artists from all over the world to their Arts Center for month long residences. Artists share access to wet and dry studios, a darkroom, a kiln, editing facilities and rehearsal and performance space. Because they believe a range of backgrounds enhances the communal experience, residencies are open to artists from any field, as well as scientists, engineers and environmentalists. 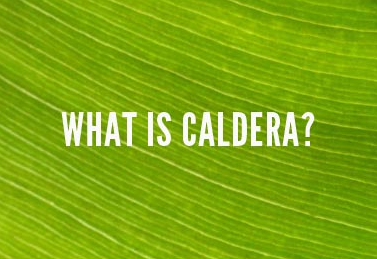 Caldera Arts Center supports interdisciplinary integration throughout programs and encourages collaboration between artists, this being one of the main reasons I decided to applying to the program. I will open my art practice to collaborating with other artist and those outside of my field. In addition, they run multiple programs for the local youth that I will have a chance to participate in during the residency, I have proposed to teach a video focused workshop. Examples of past student projects can be found here. I have been asked to hold a video workshop I am calling Live Action Stop-Animation Stories. I specifically chose CALDERA Arts Center AiR Program because it emphasizes on collaboration with other artists within and outside of ones field. I am curious on how my work will be enriched and changed as I work with writers, musicians, engineers, and other visual artists; a process I have just recently began to explore. To ground the focus of the collaborative work I want to begin by making video work around the Three Sisters, the 3 volcanic peaks of the Cascade Volcanic Arc in Oregon. I am interested in referencing the informational background and volcanic state of the Three Sisters (North/Faith; Middle/Hope; and South/Charity). According to the Sisters Area Chamber of Commerce, members of the Methodist mission in Salem probably named the Three Sisters in the early 1840s. I would like to interview and ask locals what stories or legends they have grown up hearing about these mountains, and I would also like to address their volcanic state and reference this to my own home in Hawaii. Through research, storytelling, and collaboration my work will begin to take form. For an example of how I take fact and mythological information combined to create visually poetic video follow the link to my video ‘Costa’s High Paradise [ Alto Paraiso da Costa ] (https://vimeo.com/51041827); throughout this work I combined all the above I aim to incorporate while working at CALDERA. To raise funds for travel and sending equipments and supplies that will be needed during the residency I created a Kickstarter Project: Lani goes to CALDERA ARTS CENTER 2013 AiR Program. With the help of 32 wonderfully generous supporting backers I was to raise $1,280 (after Kickstarter & Amazon.com service fees: $1,145.84). All my backers are given rewards depending on their donation amount that will be delivered before the end of March 2013. Throughout the duration of this artist residency I will try my best to keep an updated collection of experiences and progress of work as it is being created.